New research suggests sperm whales can use their huge heads as battering rams against ships and each other. A new study suggests that the structure of a sperm whale’s forehead evolved to function as a massive battering ram for when males compete for mates. Debate has swirled for nearly 200 years around whether sperm whales rammed whaling ships with their foreheads to sink them. Now, new research suggests that the structure of a sperm whale’s forehead evolved to function as a massive battering ram for when males compete with each other for mates. And this behavior might be capable of sinking ships without the whales hurting themselves during such a collision, according to a study, published in the peer-reviewed journal PeerJ on Tuesday. 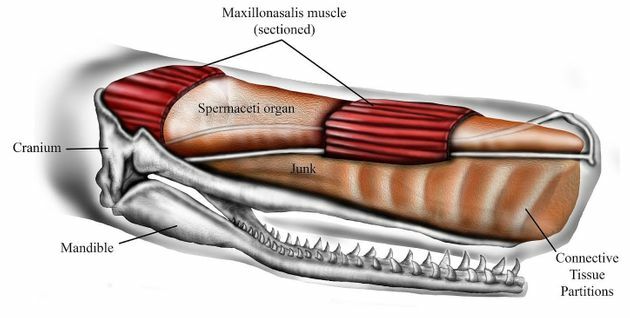 Researchers used simulations to determine if the structure of the forehead significantly reduces stress in a sperm whale’s skull during impacts. The forehead of a sperm whale contains two large oil-filled compartments — one called the “spermaceti organ“ and the other known as “junk” — that may play a role in these ocean creatures’ ramming capabilities, the study found. This oil was the main target of the 19th century whaling industry. 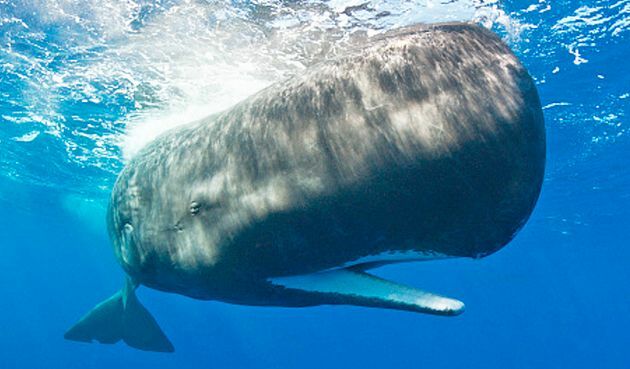 The forehead of a sperm whale contains two large oil-filled compartments that may play a role in these ocean creatures’ ramming capabilities, the study finds. The controversial theory that a sperm whale’s head has a battering ram function emerged in the 19th century following a specific incident. “After a large male rammed and sank his ship in the Pacific in 1820, whaler Owen Chase described the whale’s head as admirably designed for this mode of attack,” said Panagiotopoulou. Conservation investigator Sandra Lanham sent the researchers a report last year detailing how she saw two sperm whales ramming while flying over the Gulf of California in 1997. 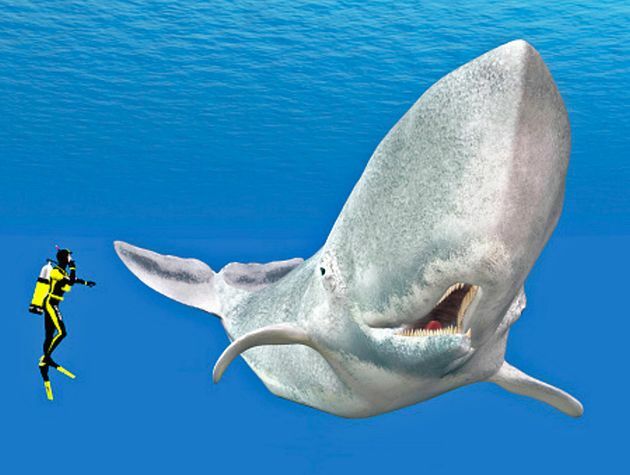 A computer generated illustration showing the size difference between a diver and sperm whale, known as the gentle giant of the sea. The scientists now want to learn more about how whales are able to continue this activity while avoiding fatal skull fractures. “Our study has limitations, but we hope it might stimulate future research to unravel the mechanical function of the head during head-butting events in other species, where aggressive behavior has been observed but remains unmodeled,” Panagiotopoulou said.